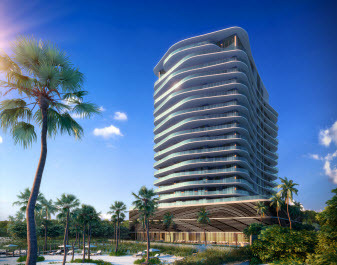 South Florida offers a beautiful variety of Preconstruction Condos. Condos comprise the majority of Pre-construction properties, however, new Single Family Homes and Townhomes are being constructed as well. Many new Condos completed construction in 2013-2018 and a number of others are currently under construction and scheduled for completion in 2019 – 2021. The majority of new Condos in South Florida are Luxury Condos. Locations of Pre-construction Condos in South Florida are primarily East of I-95, East of U.S. 1, and East of the Intracoastal. Many are Waterfront properties that are Oceanfront, Intracoastal, and Bayfront, a select few of which also offer Dockage for Yachts and other Vessels. Scroll below to view a directory of Pre-construction Condos, Townhomes, and Single Family Homes that are located in various Cities within Palm Beach, Broward, and Miami-Dade Counties, including Miami Beach, Coral Gables, Bay Harbor Island, Sunny Isles, Coconut Grove, Ft. Lauderdale, Cooper City, Hollywood, Weston, Pompano Beach, Lauderdale by the Sea, Pompano Beach, Singer Island, Palm Beach, Boca Raton, Palm Beach Gardens, North Palm Beach, and others.